I found this one under my garbage can (twice over 12 years). 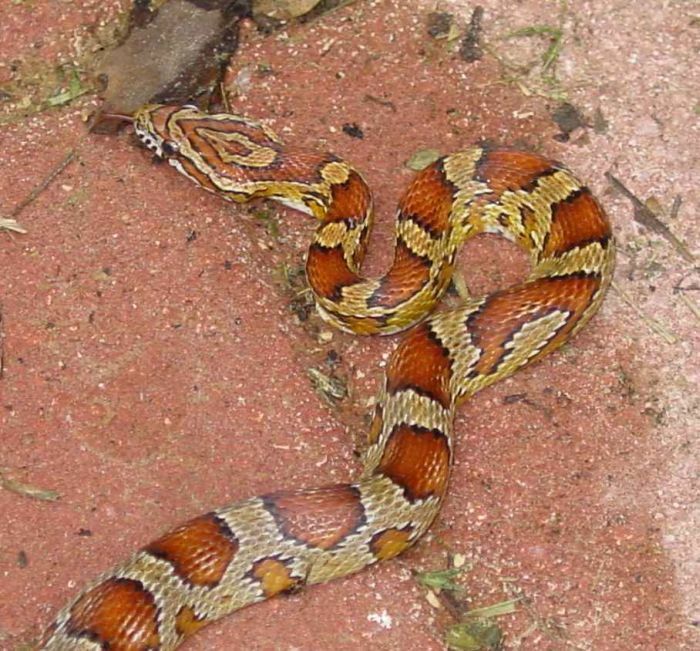 This could be a corn snake (Elaphe guttata). They reach lengths of up to 6' and are not dangerous to humans, but then again doesn't the venomous copperhead look very similar?